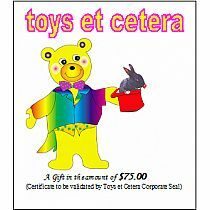 Gift Certificate redeeemable for $25 in merchandise and sales tax at any of our 3 Chicagoland locations. 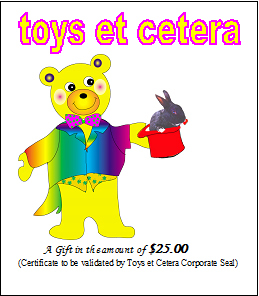 Colorful Gift Card, validated by our Official Corporate Seal, will be personalized. 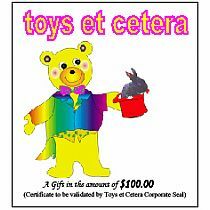 placed in an envelope, and sent by First Class Mail directly to the recipient.